There are two main areas that a homebrewer can invest in to improve their beers: wort production gear, and equipment that improves fermentation. In my experience investments on the fermentation side is more important for brewing better beer, although it isn’t nearly as fun. Not many people get as excited about a constant fermentation temperature, or correct pitching rates, or ideal oxygen levels as they do about switching from extract to all-grain. However, I’d rather have a properly fermented extract beer no question over a poorly fermented all-grain batch. I think the results give a pretty good path for a beginning homebrewer. I agree that gaining the ability to control your fermentation temperatures is the most important upgrade that any brewer can make. Not only does it enables complete dial in the temperature that suits a particular yeast strain but also provides the ability to lager and cold crash. Even if you don’t want to spend the money to have a dedicated refrigerator, a more hands on solution involving adding ice to a cooler or water batch can be a big help. Often overlooked, in cold climates having a method to raise the temperature of fermentation can be almost as important (especially for those of us whose basements are ~55 F at the moment). Either way it frees you from having the seasons dictate your brewing schedule. I believe all-grain is the second most important investment a brewer can make, giving you a wider range of ingredients and a better ability to control the wort production. However, to take advantage of a mash tun you really need the ability to do full-boils (which requires a large boil kettle, and depending on your stove may also call for an outdoor burner) and cool all of that wort quickly (with a wort chiller). Don’t look at a full boil as an improvement that must be made simultaneously with going all-grain, a full boil and quick cool can really benefit the character of extract beers as well. Much of the rest of the equipment on the list is really optional: a grain mill, oxygenation system, wort pump, kegging system, or beer filter can all improve your results, but mostly they are about saving time, effort, or money. I’ve been really happy with my newest investment, a stir plate and 2 L Erlenmeyer flask, for making starters (boil and cool directly in the flask, and the continuous stirring makes for a much denser yeast culture). Out of all the results the only one that really surprised me was how low water filtration was; one of the most common off-flavors I taste at homebrewing club meetings is chlorophenols, usually the result of chlorinated brewing water. Given the relatively low cost of a carbon water filter, it might actually be the first suggestion I’d give to a new homebrewer. I’m not sure water filtration scored so low because it is under appreciated, or if it falls into the “optional” category since it only saves the time and money of buying chlorine free bottled water. The longer I brew the more I am convinced that technique and process are far more important than recipe when it comes to making great beer. The ability some home and craft brewers have to make a range of delicious beers is more about how they brew than what they brew. Of course specific styles take distinct methods, and making a truly world class beer takes a higher level of recipe development, but that isn’t possible without solid fundamental wort production, fermentation, and packaging technique. As always, I’m interested to hear what the five people who picked “Other” wanted to see? Conical fermentor? Hop back? Randall? I followed a similar analysis to picking my equipment, but had to wait for a fridge until I moved to a big enough place. One thing I found on a few batches was a phenolic off-flavor that some said could be water-related, but I always used bottles or filtered tap water. Two possibilities: wild yeast (most likely), or bad bottled water. I say bad bottled water because sometimes that water comes out of the bottle pretty phenolic, i.e. the bottle is leeching. I considered choosing the water filter. Carbon filters aren't very effective for removing chloramines, which are used in Denver. I haven't had much success with my carbon filter here, so I'm about to switch to using k-meta. DC uses chloramines as well (except for a month every spring where they blast swimming pool levels of chlorine) and I've never had an issue. I tend to run my filter at significantly less than full blast. I did however have two failed fermentations the two times I used 1/4 Campden tablet per 5 gallons of brewing water; it seems to work for everyone else, but I gave up on it. Chloramines don't replace chlorine. Chloramines are used for secondary disinfection (keeping the water safe in the distribution system as it makes its way to you) and chlorine is used for primary disinfection (initially reducing the levels of microorganisms in the water in the treatment facility), so it's almost never and either/or with these two. Some systems use alternate methods for primary disinfection (in Boston it's Ozone) and as a result will have no Chlorine in the water, but the presence of chrloramines doesn't mean you won't have chlorine. Fully agree with you on the bias towards the fermentation side. If I recall, I think I was one of the folks who clicked "other", because to my mind there is hardly a close third to stir plate and fermentation temp control. I'm really surprised a stir plate is not high on that list. It should be. 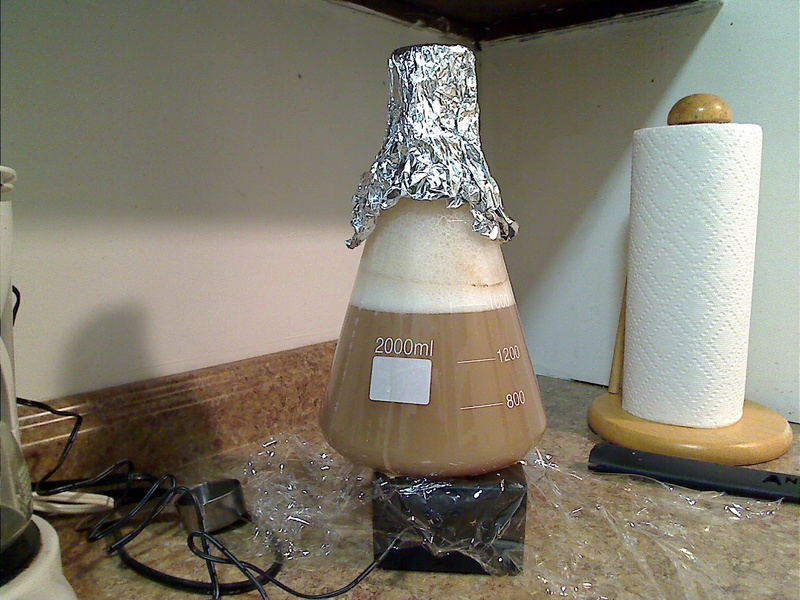 To make a large amount of healthy, vital yeast, constant aeration in the form of a stir plate is key. Also, I larger Erlenmeyer flask is helpful for larger starters (5L). I love my plate chiller. I feel it helps me leave the post-boil setup as more of a "closed" system to contaminants after the wort cooled, and it's closer to what happens in a pro brewery, so there's less "lost in translation" if I want to scale that batch up to use in a brewery. I don't filter, but I do use campden tablets in every batch, 1 tab per 20 gallons, and I've never had a problem with fermentation from it. Temp control would be great if brewed lagers, but I don't and don't want to. I just brew American and UK styles in what passes for winter in Houston, Belgians in the endless summer and Saisons in my garage. I could lower my temps with an ice bath, but I wouldn't call that an investment, since it would only cost me the ice. I voted for the large brew pot, since I hate boil-overs; the outdoor burner since my wife won't let me brew inside, and the grain mill since it allows me to buy in bulk (and roast my own specialty grains). Personally I don't brew many beers that need to be kept strictly in low-mid 60s. Most of the time they're saisons that just ferment at whatever the room is at. When I do need temp control, I already had a small fridge sitting around so that wasn't much of an investment. Therefore I chose wort chiller. Campden tablets are even cheaper than a filter and do a great job. I can absolutely taste the difference from the first batch I used them. Top of my list, fermentation temp. but a quick second is abandoning the carboy for open fermentors. I love the ease of yeast salvaging, racking from a spigot rather then a cane and cleaning. The quality of the beer is just as good but the ease of use and time savings are a huge plus for me. Are there any products on the market that will control the temperature of the fermenting wort all the way through the fermentation process? Most people just stick their fermentation vessel in a fridge, but is there a jacket, or plate or something that can be plugged in and used in a similar fashion? For heating there is the brew belt, which could be combined with a temperature controller and thermowell to take the actual temperature of the fermenting beer into account. There are jacked conical fermentors that have automatic heating and cooling, although only if you want to part with several thousand dollars. I live in San Francisco and the apartment is in the mid-lo 60s pretty much year round. I also have a kegerator for lagers and cold crashing. I am currently interested in brewing Belgian beers (sour and otherwise), and IPAs. If I was to add gear to the brewery which would you think would have the most impact? 3- swap my immersion chiller for a plate chiller and add a hopback. Love the blog, thanks for all the infos! 1. Heat wrap would be great for the Belgians, especially if you want to do saisons. Not a big help for sours or IPAs. 2. I don't think barrels are necessary or even important for brewing sours, especially at first. Wait until you've got some good sours brewed, then think about a barrel. 3. Hop-back is by no means necessary for great hoppy beers. The set up and cleaning makes my brew days longer and less pleasant. I think I get more hop character from a hop stand than I do the hop back. Do you serve from kegs in addition to crashing/lagering in the kegerator? Kegging was the thing that helped my hoppy beers the most. I mainly serve from the kegerator as I like being able to adjust the carbonation as I go, as well as being able to drink in 4 oz increments. When I brew long term things (mead, barleywine, stouts) I bottle. 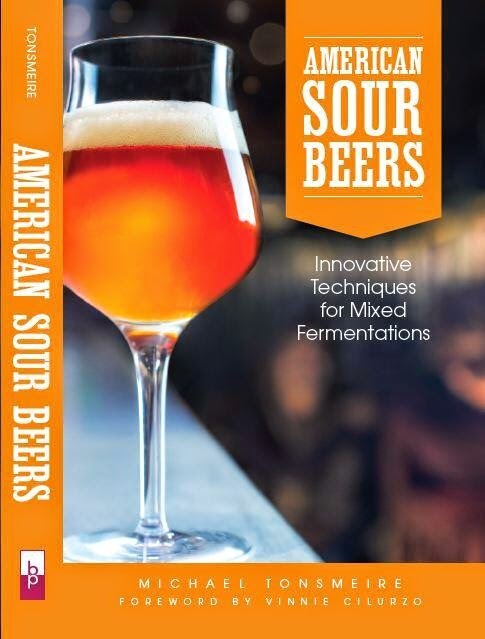 I was reading in wild brews that certain sours are conditioned in steal tanks ~90 degrees to increase the lacto soursness. Have you ever tried anything similar? Also, when you aged sours on wood cubes, what toast level/type of wood did you use? My most recent post is certainly along those line, held warm before fermentation with Lactobacillus for acidity. French medium-toast is a fine default oak cube, but depending on the flavor I want they are all options. A good temperature controller like Pixsys is essential for brewing, even if you just started. It's one of the tips for a good beer.